My teacher suggested this and she was right on! I really like this book. would recommend it to my friends and to anyone interested in adventure. Justin Denzel has been intrigued with history and caves for many years. As a young man he worked at the American Museum of Natural History, where he studied prehistoric cultures. Later, while training for the Army in the days before World War II, he explored the mammoth underground caves of Tennessee. Mr. Denzel's first professional writing experience came in Alaska, where he wrote and edited a periodical, The Alaskan. During World War II he wrote for Nature magazine and for Stars and Stripes. 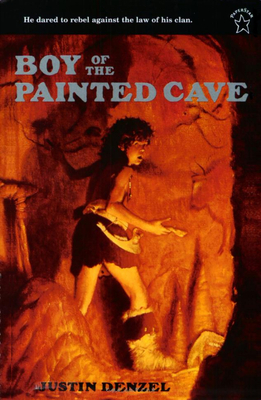 Mr. Denzel is the author of many books for young readers, including the well-loved Boy of the Painted Cave, published in 1988 by Philomel. He lives in Clifton, New Jersey, with his wife, Josephine.